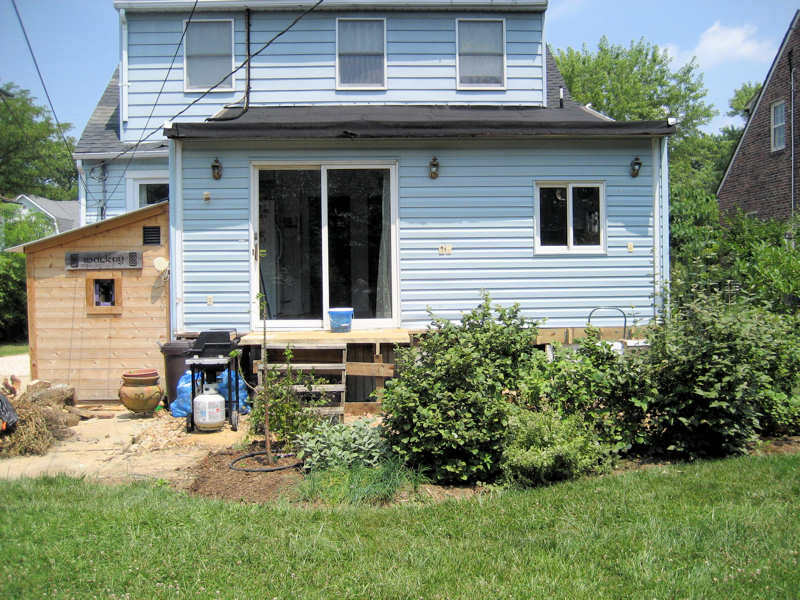 An 18–yard dumpster and a week later, phase 2 of the sun porch deconstruction is complete. 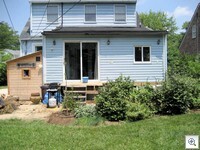 While tearing apart the decking, I uncovered an older deck that was much more solidly constructed. And the hot, humid weather didn’t make it any easier. But the decking is now gone, except for a small landing outside the sliding door that we’ll use until we build the patio and new steps. The next step is to tear away all the rotting skirting around the crawl space under the kitchen, clean it out, and insulate it well before we get our new heating system. 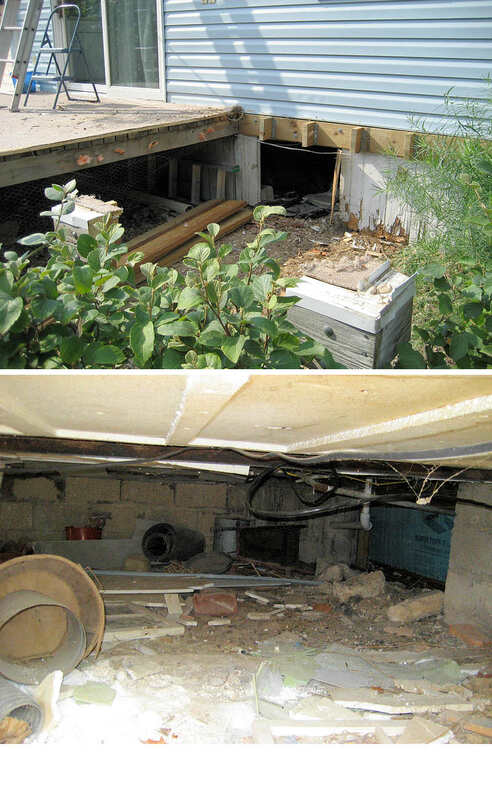 The current crawlspace is a mess that steals cooling in the summer and heating in the winter. 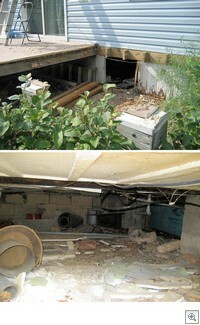 Plus, last year something large crawled in and died there, sending a putrid aroma throughout the whole house for weeks. Who know what (or who) I’ll find as I clean this out. Impressive! that’s a lot of work considering heat and rain.